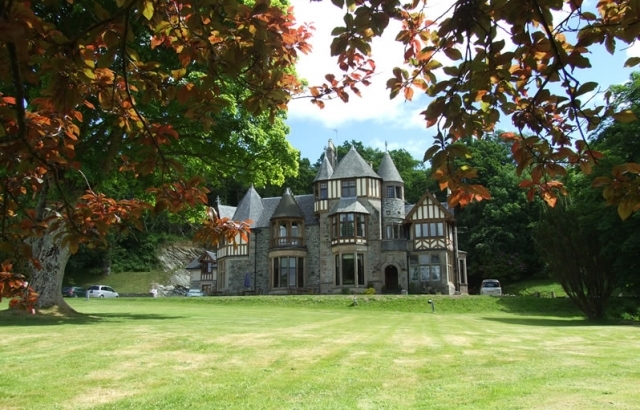 Knockderry Country House Hotel situated on the banks of Loch Long is a fabulous 4 Star 2 Rosette hotel near Loch Lomond and Helensburgh and the perfect place for relaxing, short breaks, weddings and small exclusive events. 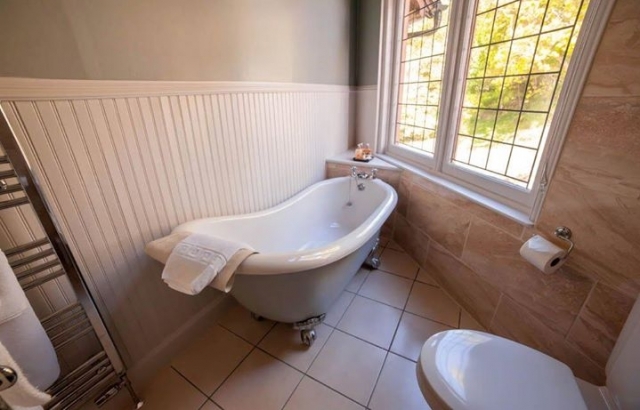 It has striking architecture both inside and out with its curved ceilings, turrets, huge bay widows, magnificent wooden panels and stained glass and owners Beth and Murdo MacLeod have created an enviable country house. Each of the 15 en-suite bedrooms have been recently been redecorated and convey a warm and inviting style of their own. 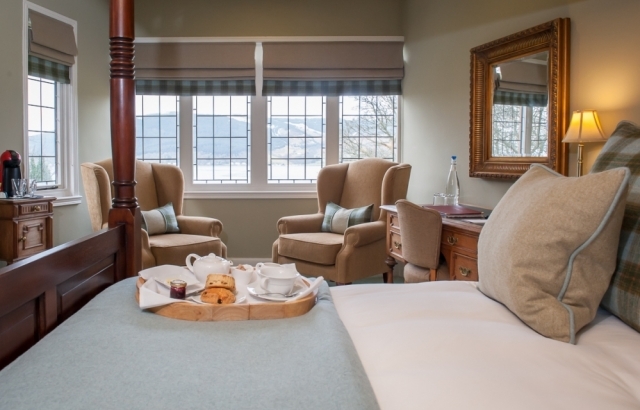 The Library Suite, Master Rooms and most of the King rooms have great views of Loch Long and the Arrochar ‘Alps’ beyond. Standard Doubles and Smalls Double rooms are located at the side and rear of the building. The further development of fully accessible rooms in the grounds of the house will add a new dimension to their business. All are well equipped with luxury fabrics, crisp Egyptian cotton, Krupp’s coffee makers, sumptuous bathrobes and Arran Aromatics toiletries. All rooms have flat screen televisions, some with DVD players. 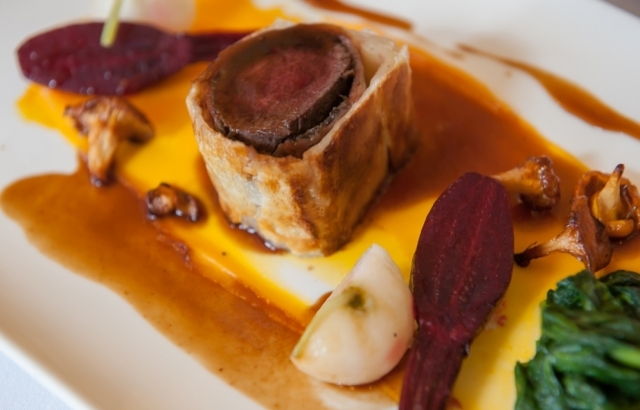 Knockderry enjoys a great reputation for excellent food and drink sourced from quality local suppliers and AA 2 rosette. 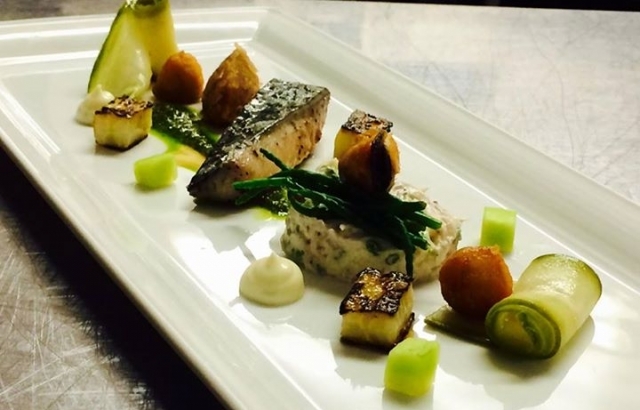 Dinner is served in the old wood-panelled dining room of the original house with its glorious stained glass and a charming outlook over Loch Long. During the summer, the garden terrace is the ideal place for a light lunch or an early evening drink overlooking the lochside. 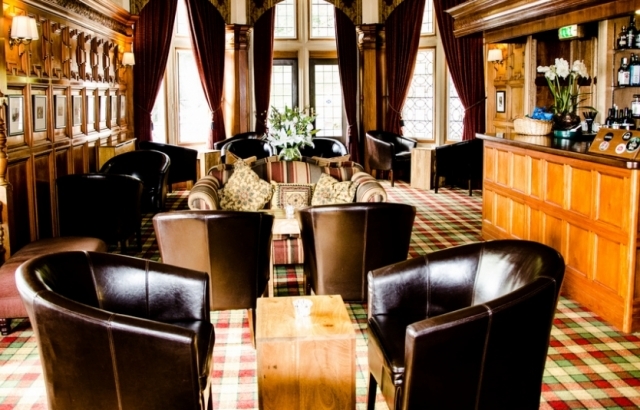 In winter, the Lounge Bar with its magnificent woodcarvings and glorious crackling log fires make a suitably comfortable and relaxing environment in which to unwind at the end of the day. For those looking to have the perfect Event then Knockderry House Hotel can help you celebrate with exclusive use country house weddings and private parties in the Gallery. The unique coastline, castles and famous distilleries, mean there is so much to do and see. 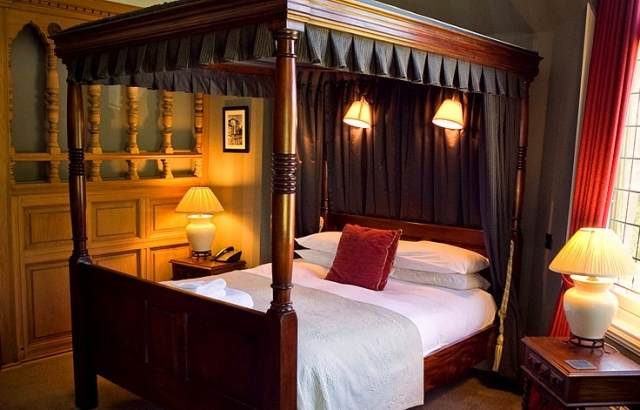 The hotel is within easy reach of Loch Lomond, Loch Fyne and the historic town of Inveraray, and is less than an hour's drive from Glasgow. 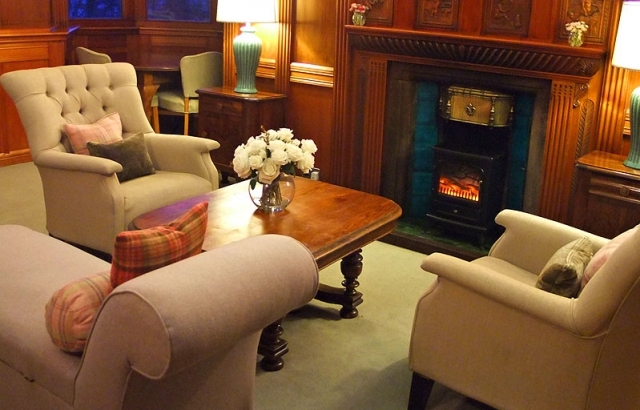 With attention to detail and friendly and intuitive service you can expect a truly Scottish country house welcome in an atmosphere of elegance and relaxation.